Almost every times when on Mt. Wendelstein the sun is setting behind the main chain of the Alps in very clear air, I can watch the green and the blue flash. These phenomena were especially impressive on February 2, 2011, when the sun sat behind 2962 meters high Mt. Zugspitze, and on March 3 at sunset behind the 1801 meters high Benediktinerwand (series 2). 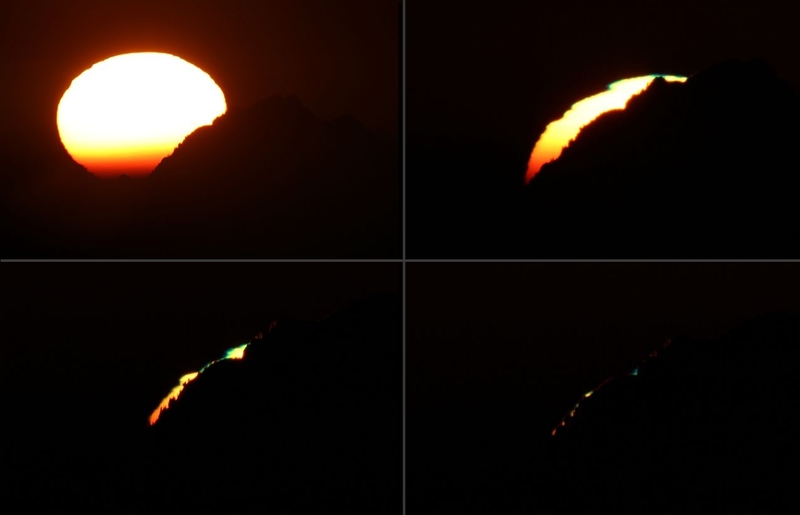 Posted on August 7, 2011, in green flash and distortions of sun and moon, observations and tagged blue flash, green flash, Mt. Wendelstein. Bookmark the permalink. Leave a comment.